Earth Contact Products is happy to announce that we are attending and exhibiting at World of Concrete 2018! This is an exciting opportunity to showcase our products and services, and we can’t wait to bring a little taste of ECP to Las Vegas, Nevada this week! What is World of Concrete 2018? World of Concrete is a trade show for concrete and masonry industry professionals that started in Texas in 1975. It has grown substantially since that time, and is now the largest annual event of its kind. Where can I find ECP? This event is currently underway in Las Vegas, Nevada at the Las Vegas Convention Center and will last through January 26th, 2018. ECP will be exhibiting in the South Hall in Booth #S12151. We will be showing our complete line of steel piers and waterproofing products, and we have presented our new foundation repair product, PolyPier. This event took place in a live event on Tuesday, but you are still encouraged to stop by and see PolyPier or any of our other products. 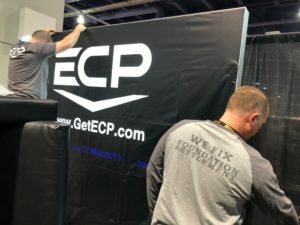 Additionally, if you are interested in becoming an ECP Certified Partner/Installer, stop by and speak with us for more information! What else should I know before attending? We are excited to exhibit this year, and we hope to see you there! Plus, don’t forget to reserve your seat for this year’s workshop. For more specific information on categories, location, and anything else you might want to know, visit our World of Concrete exhibitor page where you will find any information you need. We have also plan to post a gallery of photos for you to check out and see what we’re offering and what we’re doing at the trade show. 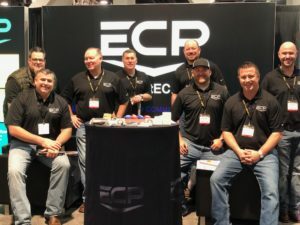 As always, feel free to contact ECP and make sure to visit us at World of Concrete 2018.